3 Bedroom Semi Detached House For Sale in Dursley for Offers in excess of £230,000. A three bedroom semi detached family home with flexible accommodation and stunning views to the rear on a popular cul-de-sac In Norman Hill. The property is advertised as no onward chain and comprises of entrance hall, downstairs bathroom with separate shower enclosure, L shaped lounge/diner, kitchen and dining room/bedroom with patio doors leading to rear garden. On the first floor are two double bedrooms, one with en-suite toilet. 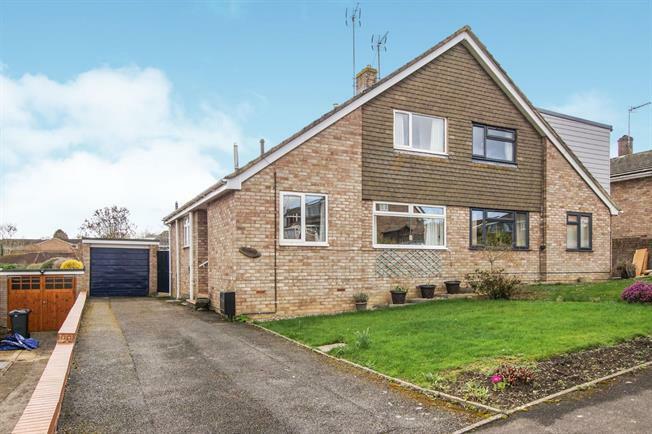 Further benefits include double glazing, gas central heating, driveway for ample off road parking leading to garage and rear enclosed garden mainly laid to lawn, patio area, greenhouse and beautiful views. This property also has the potential to extend (subject to planning permission).